Since September 2012 Preston Pride has brought the community of Preston and the North West together for an annual day of recognition, celebration and support of our LGBT community. Our event promotes a culture of inclusivity and equality and we welcome all who wish to support and participate in these values. 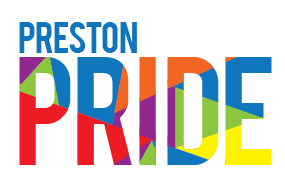 Since September 2012 Preston Pride has brought the community of Preston and the North West together for an annual day of recognition, celebration and support of our LGBT+ community. Corporate sponsorship packages are available, please contact us to explore the possibilities. Business investment is welcome should your organisation be keen to support us in other ways; use the contact form to submit your proposal. Preston Pride happens because of the hard work of our volunteers. If you would like to help out and become a Preston Pride volunteer please get in touch with us via our contact form. You can book a stall at the Preston Pride event. Stall booking will open soon – pitches are offered on a first come first served basis. Bookings must be fully paid in advance to be confirmed. For more information and prices, please contact our stalls coordinator.